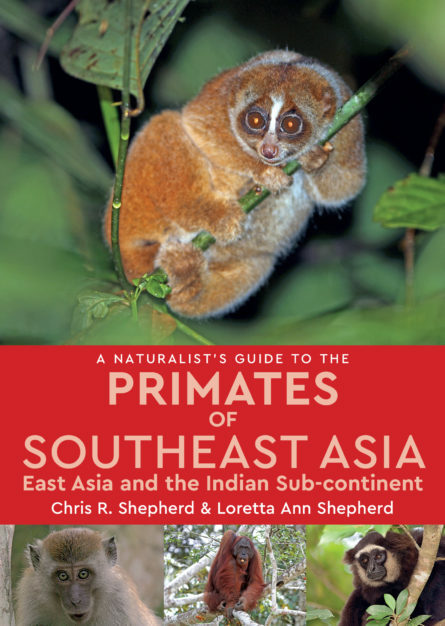 This easy-to-use identification guide to all of the 120 species of primate in Asia is perfect for resident and visitor alike. High quality photographs from some of the region’s top nature photographers are accompanied by detailed species descriptions, which include nomenclature, size, distribution, habits and habitat, as well as interesting snippets of information about the primates. The user-friendly introduction covers details on habitats, advice on primate watching, notes on taxonomy and information on threats to the wildlife. Also included is an all-important checklist of all of the primates of Asia encompassing, for each species, its common and scientific names. Chris R. Shepherd and Loretta Ann Shepherd are a husband-and-wife team based in Malaysia, working on wildlife conservation issues throughout Southeast Asia. Both strongly believe that an increased appreciation for wildlife is the key to conservation success. Specifications • 180 x 128 mm (7 x 5”) • 176 pages • 30,000 words approx. • 200 photographs approx.